Entwicklungskit mit Microchip PIC32MX340F512 Controller, dieser besitzt 512kb Flash, 32 kb RAM und lässt sich mit bis zu 80 MHz betreiben. 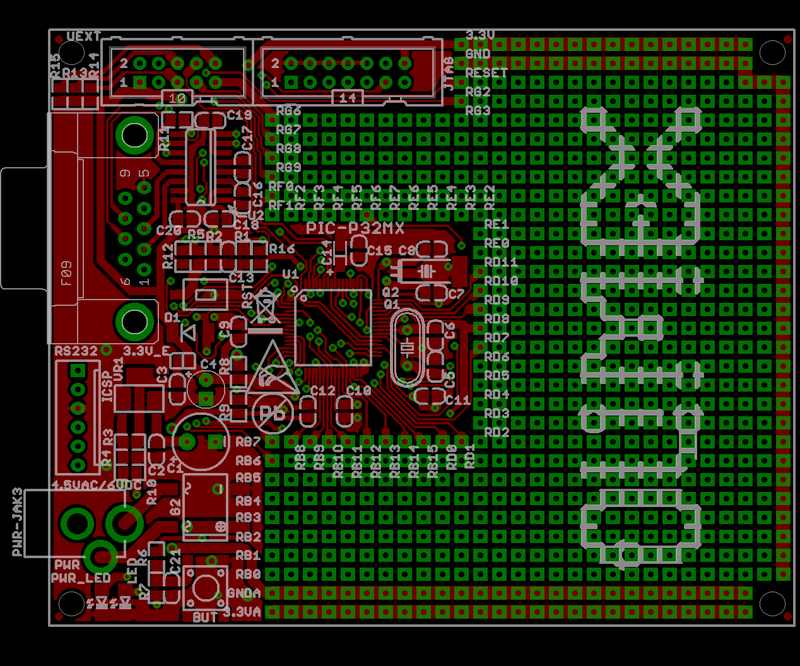 UEXT connector for other Olimex modules like MOD-MP3, MOD-NRF24Lx, MOD-SMB380, MOD-RFID125 etc. ICSP/ICD connector for programming with PIC-ICD2 or PIC-ICD2-POCKET.